The following answer to a question we’ve all been asked was posted yesterday on a private Facebook page for AP Calculus readers. 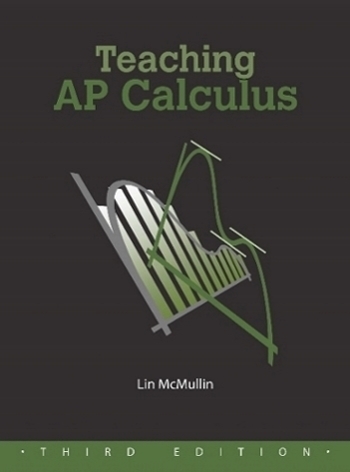 The author, Allen Wolmer is a teacher and AP Calculus reader. 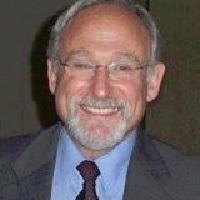 He teaches at Yeshiva Atlanta High School, in Atlanta, Georgia. I reprint it here with his kind permission. “So some of my kids are struggling with the math concepts and ideas (why do I need to learn this? when will I ever use factoring/polynomials?). I would say most of my students have not had a particularly good relationship with math in the past. I have answered these questions, with responses like financial jobs, accounting, econ, but they have no interest in these types of jobs/real world applications. I have also talked about logic, problem solving, and puzzles. First of all, recognize that, for the most part, the kids aren’t really interested in your answer. They are just being lazy and looking for a reason, any reason, to not do work, any work. Now, how do you answer? Well, you can try the face value approach, that is describing engineering, actuary, etc., but that will be meaningful to just a handful of students, and they’re not the ones asking the question anyway. And that’s why we study mathematics: to strengthen our mental muscles. We’re not really studying math, I tell them. We’re studying how to analyze and understand problems when we read them. What do we know? What do we not know? What are we trying to find? We’re learning how to pay attention to detail. We’re learning how to be precise in our thinking and our work. We’re learning how to be neat in our work. We’re learning to look for patterns. We’re learning to look for similarities to other problems we have solved. We’re learning how to look at our results and determine if they make sense or not. In other words, we’re learning how to think critically and solve problems. We’re doing it in the context of learning mathematics, but that’s only because that’s the best environment to do it in. Then I tell them never to ask that #$%^%$# question again and to shut the #$%^&*&^% up and get back to work! December 10, 2015 in Uncategorized. Tags: Dec.
Hello! I stumbled across this blog because I am currently a graduate student in secondary education at the University of Michigan, getting my certification in mathematics and history. I am currently student teaching in a BC calculus and precalculus math classroom and I am trying to scrounge up great resources so I’ve been poking around the internet. I like that this blog is active and I will probably be browsing it for interesting information in the upcoming weeks and months. I know this post is old, but I just wanted to comment on this idea. I get really frustrated when this concern of “when will we ever use this” comes up in mathematics. It is such a standard question, but nobody seems to ask it in any other class when they just as well could. I certainly never use moles or my knowledge of the motifs in Jane Eyre in my daily life beyond high school. Education is a practice in thinking. Of course you get useful knowledge and facts that might be beneficial to life or a career, but it truly is the exercise of the brain that’s important. I like Allen Wolmer’s answer! Again, just popping in to say hello and that I am glad to see people blogging about teaching calculus. I had an amazing high school calculus teacher and one day I hope I can be one as well.